Homewebwebsitewebsite designBuilding Websites - How Did It Change Over Time? Building Websites - How Did It Change Over Time? The shift in web development is seen right from the homepage and into other parts of the site making browsing much more comfortable for online users. Although, it has taken many decades and a lot of adjustments for websites to be where they are today, the changes have been worth it for the website owner and those that use the sites regularly. It is evident that websites have changed in a lot of ways since their debut in the 2000s. Many websites that were built almost a decade ago have been re-designed to make them appealing to visitors and enhance interaction with online users. Some of the significant ways in which websites have changed over time are listed below. In earlier times, websites consisted of large batches of text and links scattered all over web pages. Also, the images were limited making the overall web design plain and not very appealing to online users. Currently, web designers can create attractive websites using a variety of design elements at their disposal. Some of the elements they use include images and graphics which enhance the overall look of the site. Web designers did not have to think about the browser on which their site would be accessed because they were only a few in existence. These browsers were Internet Explorer and Netscape which were quite popular a few decades back. However, the emergence of browsers such as Google Chrome, Safari and Firefox has resulted in the need for designers to consider whether their site will open on the various browsers as they build it. Most early websites had a standard style which included a layout built using frames and tables. The lack of CSS resulted in similar designs which made it hard for sites to stand out. Presently, the use of CSS to design websites is the norm resulting in advanced styling for most websites. Also, the CSS versions are always being updated thus providing designers with better ways to style websites. Accessing a website was primarily done using desktops which made it easier for designers to build sites that could fit the screens. However, the introduction of mobile phones and handheld devices has made it essential for web designers to create responsive sites that can be accommodated on a variety of screens. 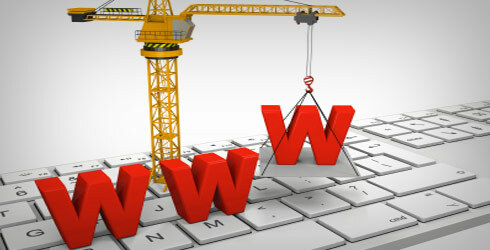 Building a website has become easier over time with the unlimited resources available to online users. These days you can create a site on your own without having any design background or learning how to code from scratch. Website builders that have been in existence for a long time are likely to offer you better services than those that have been recently set up. Most times, they have a huge following and have a variety of templates to choose from, making building your site much easier. Also, their reviews should indicate that they regularly upgrade their software for the benefit of their users. Designing a unique website requires a builder that offers a wide variety of features to its customers. The company should provide different website templates, ample disk space and enough bandwidth to host their site. If possible, look for a web builder that offers basic features at no cost and others at an affordable fee like those highlighted in this GoDaddy website builder review. Since building a site is quite involving for someone with no background in web design, it is crucial that you work with a web builder that is user-friendly. The instructions provided on the site should be easy to understand and the templates easy to customize. Also, the website builder should require minimal effort from you in designing the site by offering templates and pages that automatically optimize for mobile devices. Customer support is crucial for anyone building a site because it is common to get stuck and need help to move to the next level in designing the website. Companies that have an actual person responding to your queries and not machines are the best. Also, the web builder should have multiple ways in which they can be reached such as phone, live chat, e-mail, and a user’s forum. Designing a site using a web builder is often done at a price that should be considered when shopping for such services. Majority of companies that offer these services do so at affordable rates for the benefit of their customers. They provide annual plans which are to be renewed each year at the same rate or higher depending on the package picked. Additionally, some companies offer freebies such as a domain name at no cost for those that sign up with them resulting in savings for their customers. Ultimately, using a website builder gives you a chance to get a great website without having to build it up from scratch.